The Miami Heat appear to be in playoffs mode already with their 15-game winning streak being a franchise record. They have beaten 28 of the 29 teams at least once and the last team they have yet to beat are the Indiana Pacers (who are 2-0 vs the Heat) who they will play on Sunday. The Heat could have a 17-game win streak by that time since their next 2 games are against the Magic and Sixers. The San Antonio Spurs lost Tony Parker to an ankle sprain for about a month. The Spurs could lose their top seed in the West and the best record in the NBA during that duration. Speaking of injuries, Andrew Bynum will probably not play for the Sixers this year since his injury has gotten worse and the Sixers are going nowhere. Derrick Rose has not been cleared to play although he has been classified as day-to-day and we are still awaiting his return, hopefully for this season. The only remaining drama for the upcoming playoffs can be found in the West where the Lakers are getting closer to the much coveted 8th spot. The Warriors, Rockets and Jazz are all within striking distance (2.5 to 4 games ahead). Meanwhile, the 8 teams in the East are pretty much guaranteed and the remaining interest can be found from seeds 4th to 8th who are separated by 3 games or less. To get an idea of who will get the playoff spots, here's our 2013 Playoff Projections for Eastern Conference and Western Conference. By the way, the Indiana Pacers and Houston Rockets will play in the Philippines on October 10, 2013. Make sure to save the date (and money) to watch that game. The standings are current up to March 6, 2013. The rankings from last week refer to Week 17. 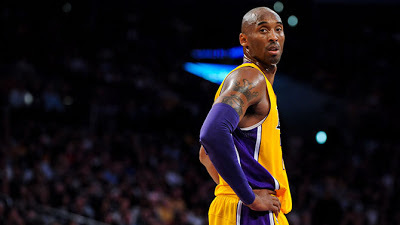 Kobe Bryant a.k.a. Black Mamba/Vino has been great all year. Can the Lakers reach the playoffs? Dwyane Wade is in the top 5 in PER and all of the Big 3 are shooting career-highs from the field. The Heat is tops in team shooting and 2nd in 3pt shooting. Even the role players are doing well: Shane Battier is 13-20 from downtown in his last 4 while Ray Allen is 13-27 from behind the arc. The Spurs are among the deepest teams in the NBA but they will be tested to overcome the injury to their best player: Tony Parker who leads them in PER, points and assists. It helps that the Spurs are playing 10 of 12 remaining games in March at home where they are 24-3. The Thunder got lucky when Serge Ibaka did not get suspended for his low blow on Griffin. Ibaka made a key trey against the Lakers which helped the Thunder win. A good week for the Thunder as they beat both teams from Los Angeles and are 6-1 versus them. The Grizzlies have won 9 of 10 and their lone loss against the Heat was a close game which they almost won. They are #1 in defense and have only allowed one 100 point game in their last 10 games. They seem to be doing well without Rudy Gay. The Clippers had a 7-point possession that gave them the lead vs the Thunder but they were unable to capitalize on that and still lost the game. They are 0-3 vs the Thunder and even though they had a 17-game win streak last year, the Clippers sit 4.5 games behind the best record in the NBA. The Nuggets have won 6 straight games and they are in the top 3 in three major categories (points, assists, rebounds). Leading the charge is Ty Lawson who averaged 21 points and 8 assists in their last 5 games. Wilson Chandler has been great too with 16.4 points off the bench. The Pacers have been among the top teams in defense and rebounding for the whole year. Paul George has made great strides in his game and even Lance Stephenson has been getting minutes and he has made solid contributions. David West continues to be clutch for them in the post. The Knicks let a 16-point lead slip away vs the Heat and they almost made it 3-0 vs the Heat this season. They are struggling (15-11 since January 1) and now sit 3rd in the East. Carmelo Anthony sustained a knee injury and his status is uncertain. The Knicks are still 3.5 games ahead of the Nets. Chandler Parsons has been a nice surprise this year with his shooting and defense. He is 2nd in scoring and has been hot in his last 5 games (21 points and 4.4 rebounds, 63% shooting). The addition of Aaron Brooks makes them more potent on offense and stabilizes their PG spot. Joakim Noah will get strong consideration for DPOY for a team that is top 5 on defense. Noah is among the best passing centers in the NBA (1st among big men). He recently got a triple-double with 23 points, 21 boards, 11 blocks and 3 steals. D-Rose is now considered day-to-day. The Celtics are 12-4 since Rajon Rondo was injured and the Celtics are now within a couple of games from reaching the 4th spot. Paul Pierce has compensated for Rondo's absence by being a better all-around player and playmaker (19 points, 8 rebounds and 7 assists in his last 10 games). Brook Lopez remains in the top 5 in PER with about 75% of the season done. His numbers (points, rebounds, shooting) are not career-highs but his efficiency has vastly improved. Andray Blatche has been great off the bench (PER of 22.2 which puts him at 15th in the league). The Hawks went 3-3 in their 6-game road trip and they almost beat the Lakers until Kobe made clutch baskets then Josh Smith had a turnover on their final possession. Al Horford has been amazing during their road trip: 24 points, 12 rebounds and 2 blocks on over 60% shooting. The Bucks have won 4 straight including a buzzer-beater by Monta Ellis vs the Rockets. They beat quality teams like the Rockets and Jazz. The Bucks have assured themselves of a playoffs spot in the East after beating the Raptors. Brandon Jennings had back-to-back games of 19 and 17 assists. The Lakers continue to lessen the gap between the 8th spot (2.5 games behind) and 9th spot. They have winnable games coming up (Hornets, Raptors, Magic) to allow them to go over .500 for the first time this season. Kobe and MWP are hurting but they will continue to play. Steph Curry had a great game vs the Knicks (54 points, 11 treys) but they still lost that game. The Warriors are 4-6 in their last 10 and are just 4 games ahead of the 8th spot. Luckily. they play 15 of their last 21 games at home where they are 19-7. The injuries to Millsap and Jefferson came at the worst time possible with the Jazz dropping 4 of 5 and they now sit at the 8th spot. Kanter and Favors have done well to replace the injured big men but the other starters (Foye, Williams and Watson) need to score more than zero points combined. The Blazers are making a push for the 8th spot as well, just 3.5 games behind the Jazz. Their upcoming games should tell us if they have a chance since 4 of their next 5 games are against playoffs teams. Nic Batum has had a solid season: 17 points, 6 boards and 5 assists. The Mavs have lost 3 of 4 and they will have another crack vs Houston after the Rockets hammered them by 33 points. Dirk Nowitzki has slowed down after his 2 monster games vs the Lakers and Bucks. His past 3 games: 16 points, 5 rebounds and below 50% shooting. It appears that Andrew Bynum may not play for the Sixers at all this season. Tough break for the Sixers since they got nothing back from all their trades in the summer. The Sixers had great hopes for this year especially with Jrue Holiday and Thad Young having great seasons. The Raptors have lost 5 straight and their playoffs hope has been eradicated with their recent loss to the Bucks. Rudy Gay leads them in scoring and has been clutch when given the chance but his shooting is at 39% and his efficiency is close to league average. The Pistons lost to the Spurs by 39 points even without Tony Parker playing and they are 3-7 in their past 10 games. Andre Drummond is still weeks from playing and the Pistons might decide to sit him for the rest of the season if his condition does not improve. The Suns have won 3 straight including impressive wins over the Spurs in OT and vs the Hawks. Jermaine O'Neal had 2 double-doubles in his last 3 games but O'Neal will miss the next few games to attend to personal matters. Goran Dragic has been solid during their win streak (14 points, 9 assists). The Hornets have good players (Gordon, Anderson, Vasquez, Davis) but their youth and inexperience have not resulted into wins. Austin Rivers has been a bust during his rookie year while Anthony Davis has struggled to get his rhythm due to minor injuries that have cost him games. The Cavs let a 22-point lead go to waste vs the Knicks who lost Melo to an injury but still managed to win the game. Kyrie Irving played in that game after missing 3 games due to an injury. Tristan Thompson has had a solid sophomore season with 11 points and 9 rebounds on 49% shooting. Emeka Okafor has been great in his last 10 games, getting 5 double-doubles and averaging 13 points and 10 boards. The Wizards are 6-4 during that span and the rookie Bradley Beal continues to lead them in scoring while John Wall continues to find his rhythm. The Kings beat up on the Bobcats at home by 36 points which gave them their 2nd win in 10 games. The Kings might get to stay in Sacramento after the city proposed a new stadium plan and a new buyer appeared. Tyreke Evans has quietly improved his numbers in the last 2 weeks. The T'wolves have lost 6 straight and that tends to happen since Kevin Love and Nik Pekovic are both injured. Derrick Williams has made great use of the extended minutes getting 3 double-doubles in his last 5 games and averaging 21 and 10. Tobias Harris has been excellent in his 6 games with the Magic since the trade deadline deal from the Bucks. Harris is getting 17 points and 6 rebounds in 29 minutes. Afflalo and Vucevic continue to play well which could mean good things for next season. Bobcats have lost 7 straight and that could be 9 straight after games with the Nets and Thunder. They have the worst point differential at -10.3 and they are among the bottom 5 in almost all the major team categories. More bad news: rookie MKG has been underwhelming (9 ppg and 5.6 rpg).